Sireet in Nandi Hills, Kenya, have long been interested in how to help farmers diversify their incomes. During a Producers Direct event, honey ​cultivation ​was ​introduced ​as ​a ​profitable ​business for ​small ​plots ​of ​land. To ​start ​off ​this ​venture, ​Sireet invested in sending a ​number ​of ​their ​promoter ​farmers to ​a ​week ​long ​training ​session and helped to acquire an initial set of 5 boxes. One promoter farmer, Christopher, ​quickly added an additional ​5 ​boxes ​a ​few ​months later and was able to impress his sceptical neighbours when they ​harvested and sold their ​first ​batch ​of ​honey. Since then, his neighbours have taken up the practice as beekeeping has spread quickly across the Nandi area. One farmer has been able to get a micro-loan from the ​ROTA ​fund and ​expand ​his ​hives ​from ​6 ​to ​31. Sireet ​continues ​to ​support ​and ​encourage ​the ​beekeepers ​by ​removing ​some ​of ​the ​common ​barriers. ​For example, they ​have ​three ​sets ​of ​harvesting ​equipment that they are able to ​provide ​as ​a ​community resource. ​Sireet have also been able to create an ​immediate ​market ​for ​the farmer’s ​honey, using their tea connections to sell locally. ​This, ​combined ​with ​the ​access ​to ​the ​support ​of farmer-led ​training at the Centre of Excellence, has allowed ​Sireet ​OEP ​to ​add ​value ​in honey ​processing, ensuring a rapid increase in ​quality ​and quantity and ​leading ​to ​better ​and ​more ​consistent ​buyers ​and ​markets. Profiling ​of ​bee ​farmers ​is ​an ​ongoing ​process. ​However, ​currently ​Sireet ​are ​working ​with ​17 ​farmers and, currently focussing on local markets, ​213 ​litres ​of honey ​have ​been ​branded ​packaged ​and ​sold to date. 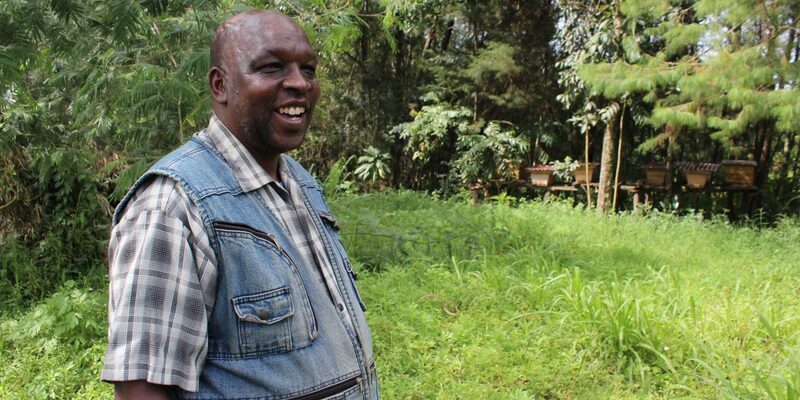 In order to expand ​beyond ​the ​Rift ​Valley, ​Sireet ​is ​planning ​on ​enlisting ​at ​least ​60 ​farmers which would, assuming an average of 5 hives per farmer, have the potential to generate up to ​375 ​litres ​every month.